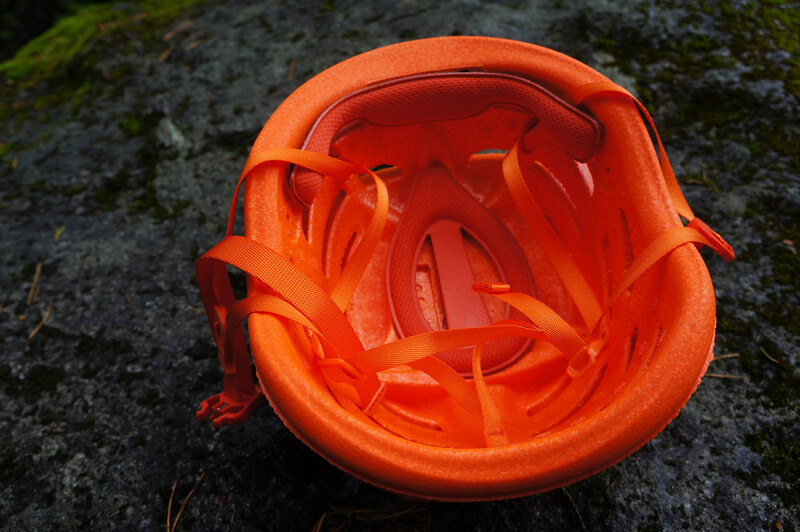 An important piece of safety gear, every climber should wear a helmet when going to the crag. The Petzl Sirocco is the lightest helmet on the market at 165 g - so light that you sometimes forget you’re wearing it!
. Oh, and plenty of ventilation openings, which allow you to attach e.g. your helmet camera. Constructed from a monobloc shell of expanded polypropylene (EPP) it comes in two sizes - my large size with a head circumference of 53 - 61 cm weighs 165 g, while the smaller size (48 - 56 cm) weighs just 145 g. It has a Velcro attached padding which can be washed, and makes for soft, comfy fit. The straps allow you to size the helmet to your needs, and are quickly adjusted when you’re for example wearing a hat or two in winter. Finally, the magnetic buckle can be operated with just one hand - even with thick gloves on - and is sitting to the side, which is more comfortable than a buckle right under your chin. Now you might think - damn, that’s a light helmet, but can it take an impact? I’ve fallen with this helmet and crashed into a wall and had plenty of ice drop down on it - and my head and helmet are still in one piece. Actually, the helmet still looks like new, and I haven’t been soft on it. 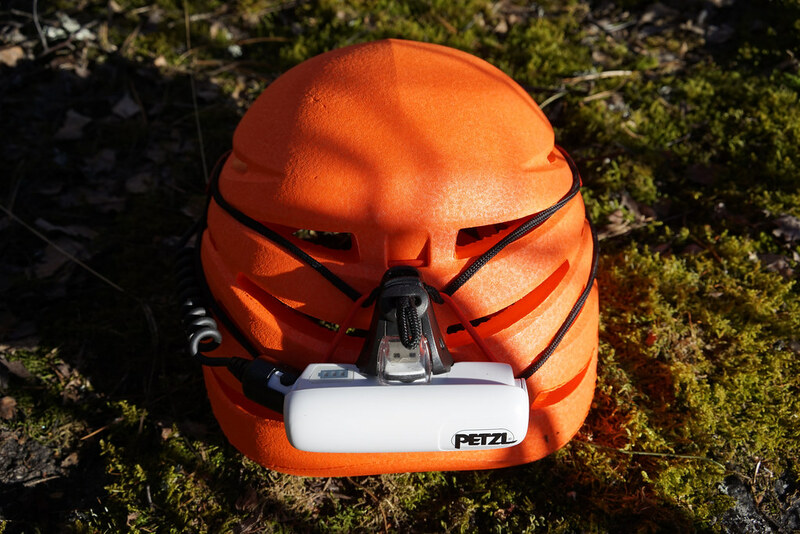 And with a guarantee of three years, you can be sure that Petzl has designed and built this helmet to take plenty of abuse. 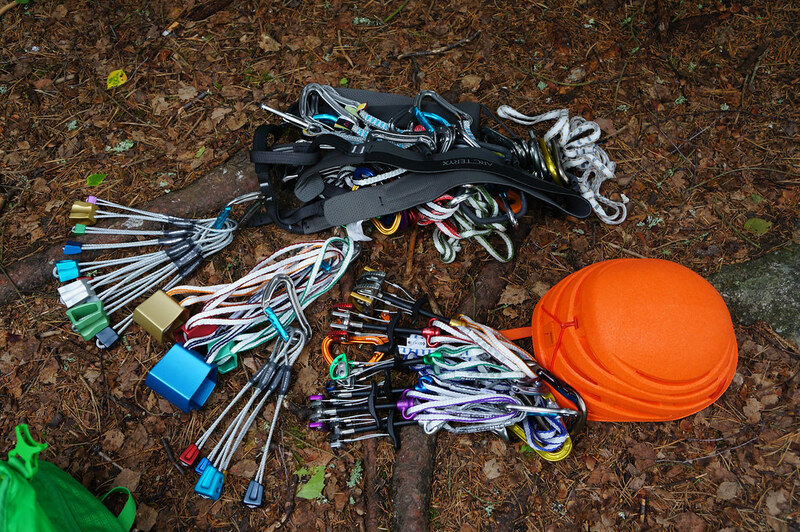 You probably have seen this helmet also elsewhere - Ueli Steck is wearing it, Chris Sharma is wearing it, pretty much everyone who is climbing hard alpine, trad or sport is wearing it! I can’t think of a better endorsement, really. 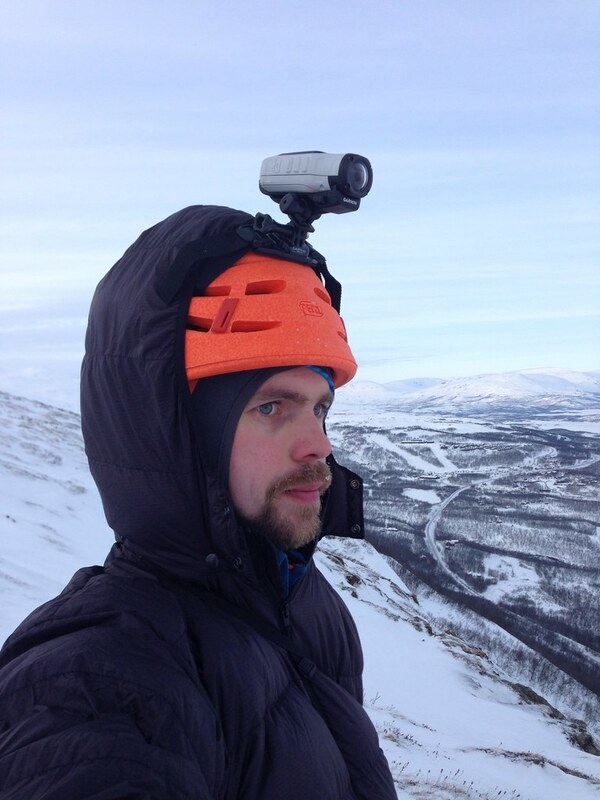 The bottomline is simple: If you go climbing outside, be it ice, trad or hard sport, you should wear a helmet. And you might as well wear the lightest helmet on the market, because it is very comfortable & safe without missing out on essential features. 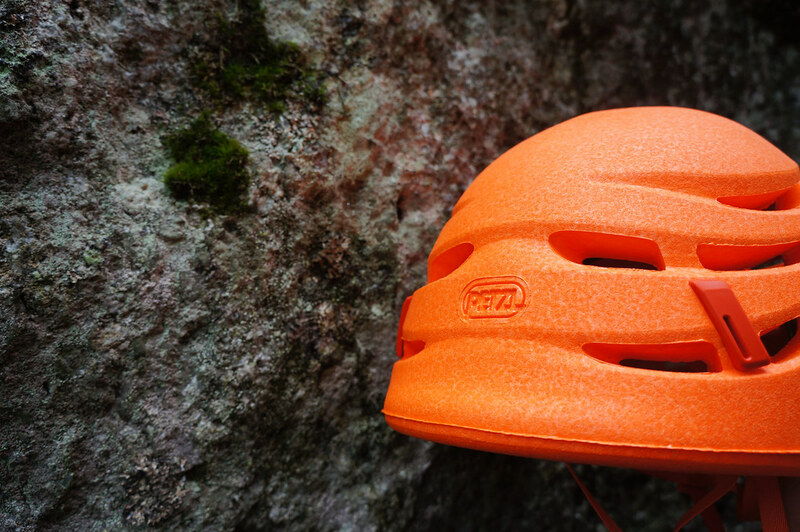 It’s great for summer rock climbing, alpine climbing and ice climbing, truly a helmet for all seasons. 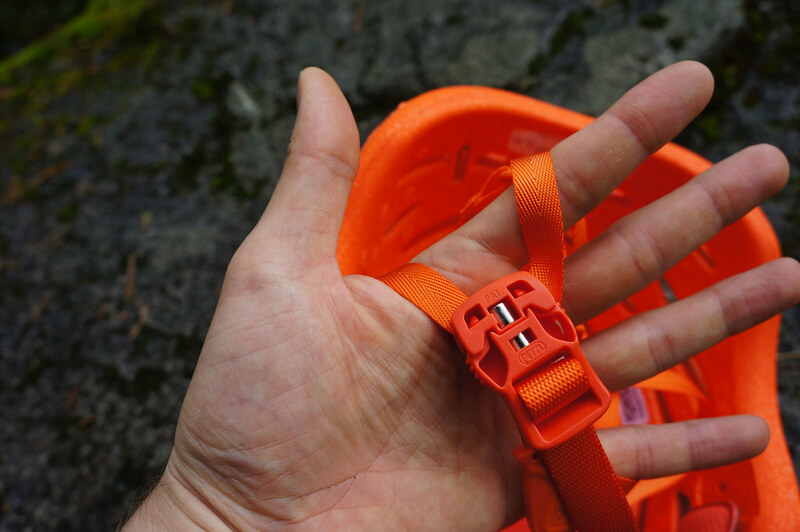 Attach your headlamp to it, put the camera on record, and go climb! More photos. Get yours at Mountain Shop, Camu, Bergfreunde, Bergzeit, CampSaver.com, REI or EMS.